Indulge in our complimentary high speed Wi-Fi and free business center! 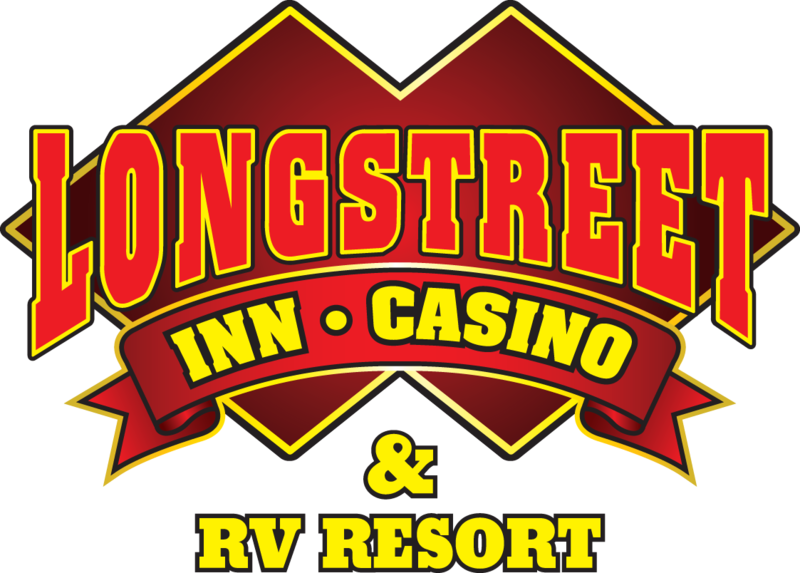 Choose Our Spacious Rooms or Park Your RV in Our On-Site RV Park during your casino trip! Minutes away from Death Valleys National Park and Ash Meadows National Refuge. Death Valley is renowned for its spectacular scenery with peaks at 11,000 feet high to the lowest point in North America of 282 feet below sea level. Open all year long this historic U.S. National Park is a major must see experience. Ash Meadows, a United States National Wildlife Refuge, boasts 24,000 acres of wildlife refuge and home to 26 plant and animal species found nowhere else on planet earth. After a day of site seeing, enjoy the Longstreet Inn which is an oasis in the desert. 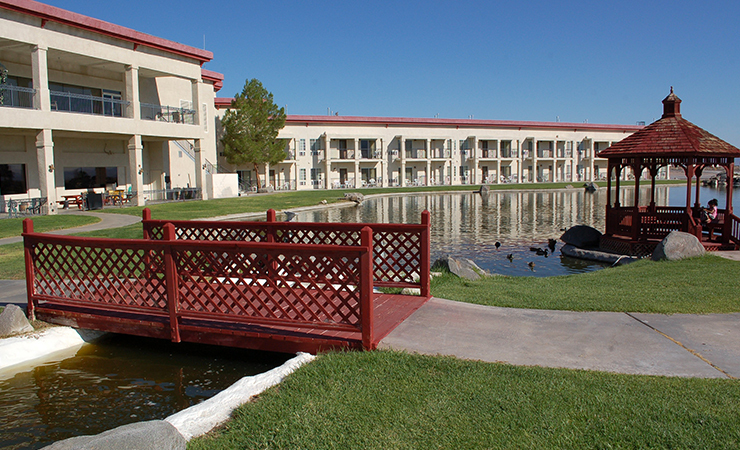 Our tranquil waterfalls, soothing pond, cooling pool, and breath-taking views are a great way to complete your stay whether you select a room or a quaint spot in our RV resort. 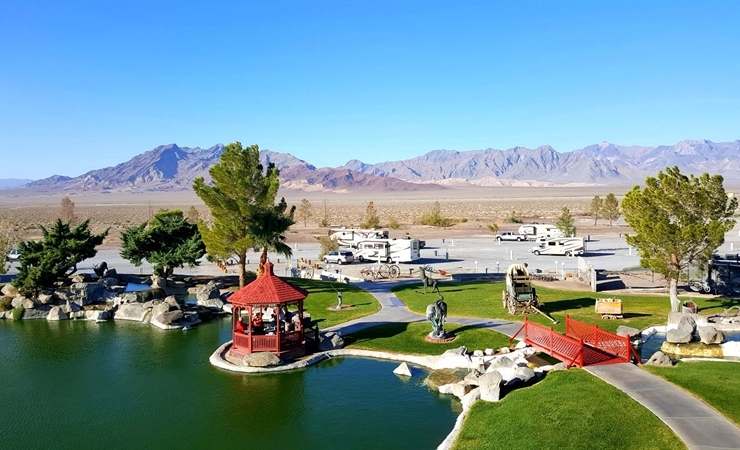 With 60 newly-renovated nonsmoking rooms, accommodations for 51 recreational vehicles and a dynamic casino, we pride ourselves on being the most welcoming spot in Nevada. You’ll have everything you need during your stay with us, including two on-site Dining options, complimentary high-speed Wi-Fi, free access to our Business Center, a Swimming Pool, 24-hour Casino action, 24-hour Bar, 24-hour Mini Mart, 24-hour Laundry facility, Horse Shoe Pits, a Petting Zoo, CDL Parking and promotional CDL Room Rates. From the tops of the Funeral Mountains to the bottom of Golden Canyon, you’ll find that our natural beauty knows no bounds. Our hotel is ideal for those visiting Death Valley National Park, as we’re just minutes from the park and all its unique sights. So whether you’re into hiking, golf or simply getting out into the open, we provide comfortable and affordable lodging near everything you love. So get in touch with us today to book your stay. He stood nearly six feet tall, and with his piercing blue eyes, he might have been mistaken for a native Paiute Indian. While his residences were many in Western Arizona and Southern Nevada, his last settlement was in the great Amargosa Valley. Legend has it Jack Longstreet was a notorious gunfighter and renegade. Truth shows while his gun had several notches, those who fell to bullets from his Colt .45 long barrel were done in self-defense. Longstreet did not fit the contemporary image of a strutting, swaggering gunsel, but rather a man who sought no fame. He was often called upon to settle arguments, disputes and to curtail the activities of the criminals who roamed the area. He lost a part of one ear early in life, perhaps from an altercation, but bore that identifying mark for his whole life. For his many years in the Amargosa Valley, Jack Longstreet was married to a Paiute wife. He was well respected by the few settlers in the area. He worked with the miners, the ranchers, and was, at times, a barkeep and merchant. He built and lived in a rock and adobe home near what today bears his name, the Longstreet Spring, Remains of that home, while in disrepair, are still on site, but a short distance from the Longstreet Inn and Casino. It is to honor the memory of this icon of the early 20th century in Southern Nevada, that owner Jim Marsh has named the Longstreet Inn and Casino. His memory lives on in artifacts on display at the Inn. Get a look at all that awaits you during your stay with us near Death Valley. 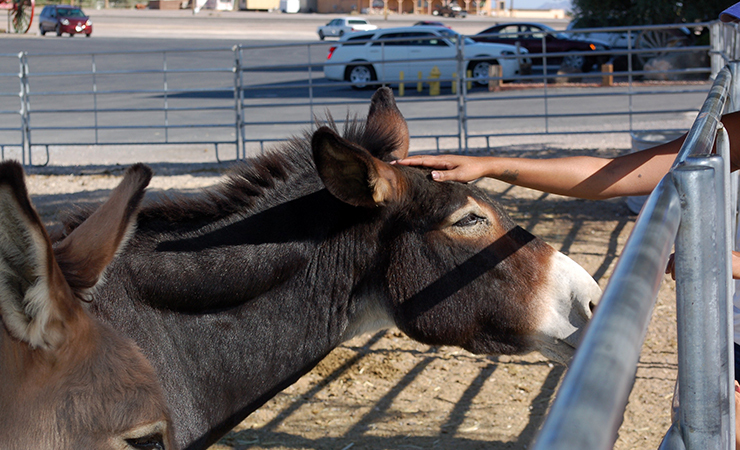 Discover the wonders of the desert and the richness of our Amargosa Valley’s history. Roll up and relax when you stay at our on-site RV park, which offers 51 spots.